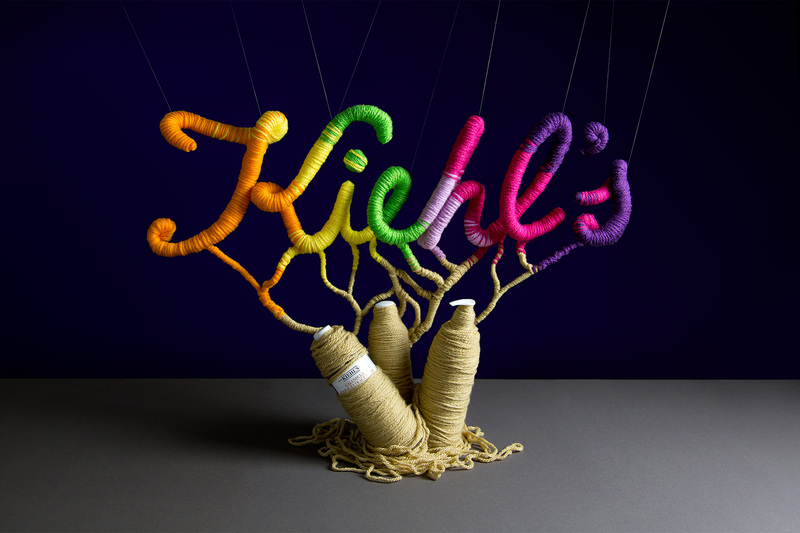 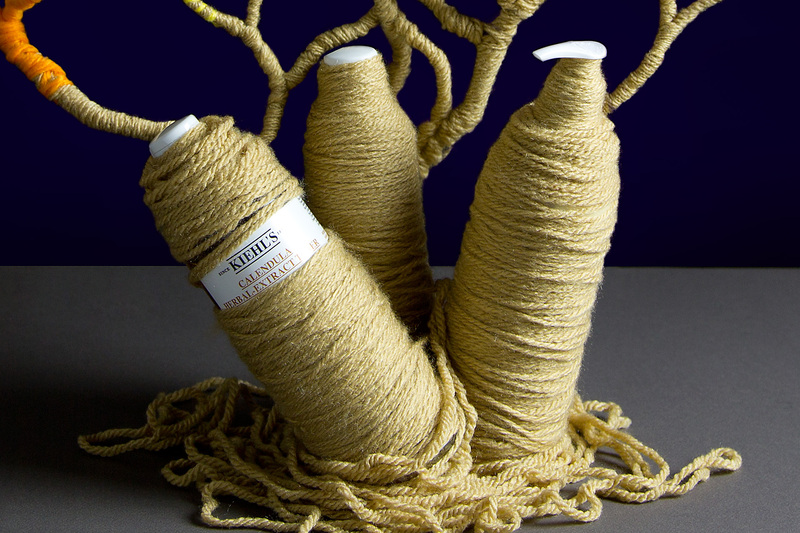 Handmade wool type still life visual composition commissioned by Kiehl’s usa part of the Artfully made campaign. 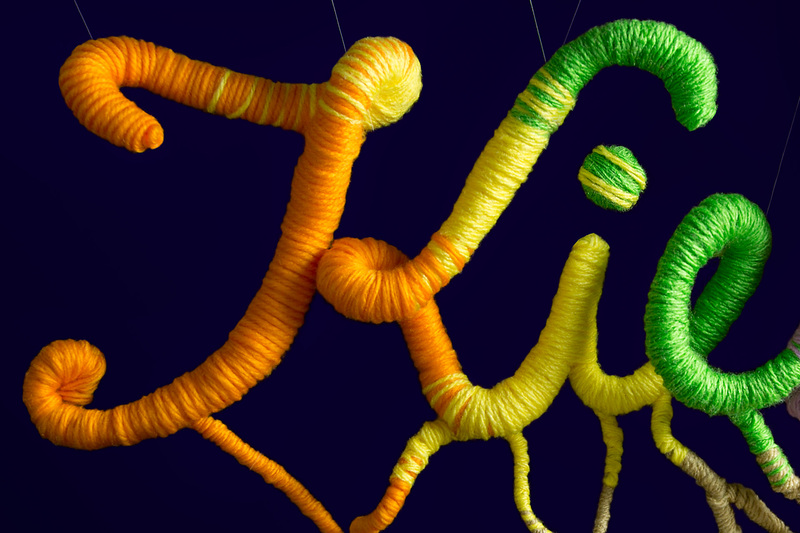 The brand flourishes of his own product creating a colorful lettering on a wooltype, transmitting the most natural part of the brand, where medicinal botanical knowledge and cosmetics are mixed. 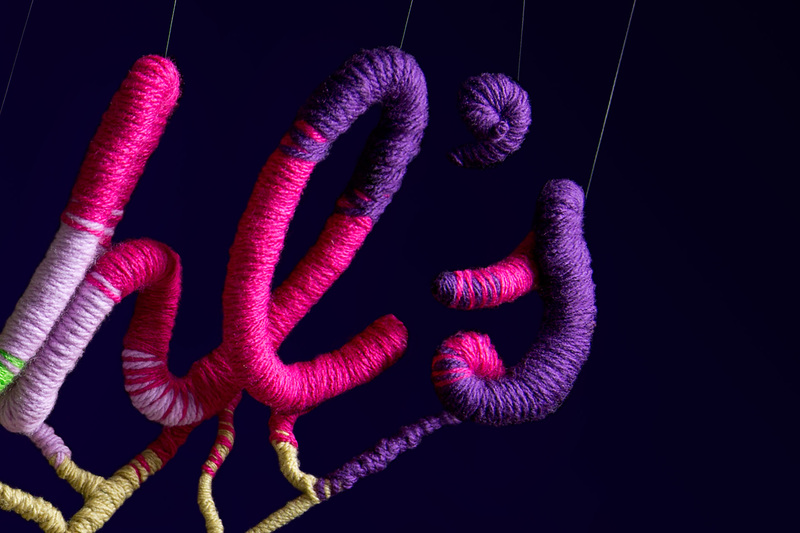 © 2019 noelia lozano- Art direction & tactile design, papercrafts design.